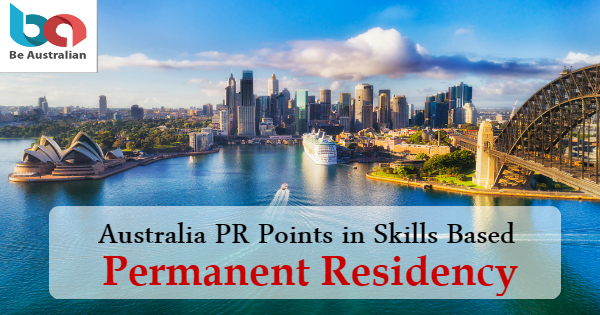 Australia PR in the skilled migration 189, 190, 489 visa, needs at least 65 skill select points, to apply. A good English test score is also necessary. Based on recent draw, it is easy to get Australian PR, with 70 points. When an aspirant has a Masters degree, and also a good English score, added with work experience, as per the skills list, he/she can get Australian residency within a year. •	The aspirant has to score in all categories involving Listening, Speaking, Reading, as well as Writing categories separately. •	Please note that P.T.E. is easy for scoring in comparison to I.E.L.T.S. •	Please note that Employment and Education needs verification by a proper Assessment company. There are Specialist education qualifications carrying Points. •	The age below 45 years. Employer sponsorship is optional and a person can directly file for PR. In case of having the required points, selection and getting a PR is easy. Applicants having more than 65 points receive the invitation quickly. After applying it is possible to get a PR within 5-8 months. For Immigrants working on H1B visa in USA, Australia serves as a good option. The Australian Green Card can be obtained before landing in the country. They can return to US when the priority date becomes current and an employer agrees to hire the person. Police verification is compulsory requirement for persons above 18 years from all countries in which they lived in last ten years.